If you want to drive traffic to your website, pay per click pest control marketing is the easiest way. A properly set up pay per click campaign will start driving customers to your website immediately. With pay per click (PPC) marketing, you pay google to show up in search results. If a potential customer searches for “Best pest control company in Denver” you want your website to appear. Pay per click marketing allow your business to appear in google search results. Each time a potential customer clicks on your ad, you pay a fee. While pay per click marketing is an excellent option, you should also consider search engine optimization for pest control companies. A combination of both PPC and SEO marketing gives your pest control business the best chance to capture new customers online. It’s important to understand why pay per click (PPC) marketing is important for your pest control business. Having a professionally designed pest control website is only half the battle. You want potential customers to find your website. Each day, potential customers are out there looking for a pest control company. When they search online, you want them to find your pest control website. There are two main ways to show up in search results. If you are new to pay per click marketing, setting up a campaign can be time consuming and difficult. Google provides a very robust tool (Google Adwords) to set up your pest control marketing PPC campaign. However, the system is complicated and difficult to learn. Most pest control business owners don’t have the time to properly set up and manage their PPC campaign. Below, you can see a screen shot of a what a typical pay per click ad campaign looks like. Once your PPC ad campaign is set up, you will need to manage it each month. Adjustments should be made to ensure your ads are working effectively. Many pest control business owners try and set up a PPC campaign and end up throwing away thousands of dollars. If your ads are not set up correctly, you’ll be showing ads to 8 years olds in Alaska for your pest control business in Denver, Colorado. Don’t let that be you! Pay Per Click marketing is a complicated and time consuming skill to learn. Let us help! Our team specializes in pay per click marketing for pest control companies. Our team will set up your pay per click campaign for success. Since we specialize in the pest control industry, we know how to set up your campaign for success. We will quickly set up a campaign that will drive new customers to your website. Each month we optimize your campaign to ensure that no marketing dollars are being wasted. Most online marketing companies charge 50% of your total ad spend as a fee to manage your campaign. Not at pestcontroldomains.com! We specialize in one industry so we save time and pass the savings on to you. At pestcontroldomains.com we charge just $99/month + ad spend to manage your campaign. We recommend an ad spend of $250/month to $750/month depending on company size and location. After speaking with you, we will make a recommendation regarding ad spend but the decision is always yours! Most marketing companies charge 50% of your total ad spend to manage your campaign. Ouch! Our Pest Control pay per click marketing campaigns are just $99/month + Ad Spend! Once you have a professionally designed website, we can start driving traffic to your website with PPC marketing. We’ll help you set a monthly budget and set up a PPC campaign for you. Each month potential customers will see your website in Google’s search results and visit your website. 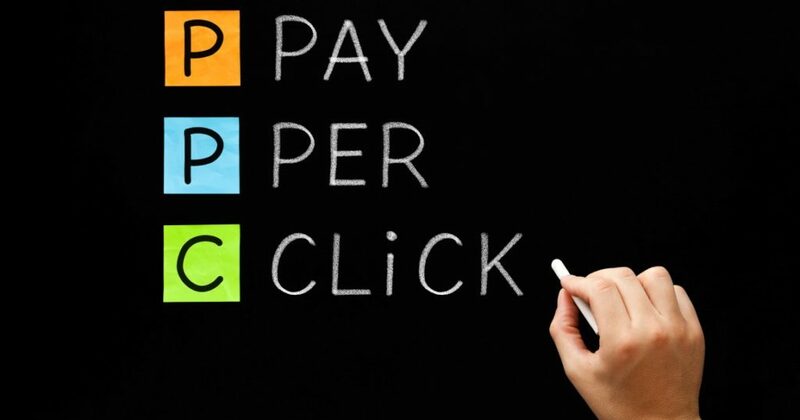 We do not charge any setup fees to begin your pay per click marketing campaign. Yes! However, if your website is not set up to convert visitor into customers, we highly recommend getting a professional pest control website.